I love painting imaginary things with a combination acrylics, watercolors and pixels. Starting with wall scribblings and school book additions my mind has always been traveling through fantastical places filled with monsters and creatures of all sorts. Fantasy and science-fiction remind me of how mysterious life is. The magic doesn't always take the form of a huge sparkling dragon but it's all around us. All of the images on this site were painted with acrylics and watercolor using very small brushes. 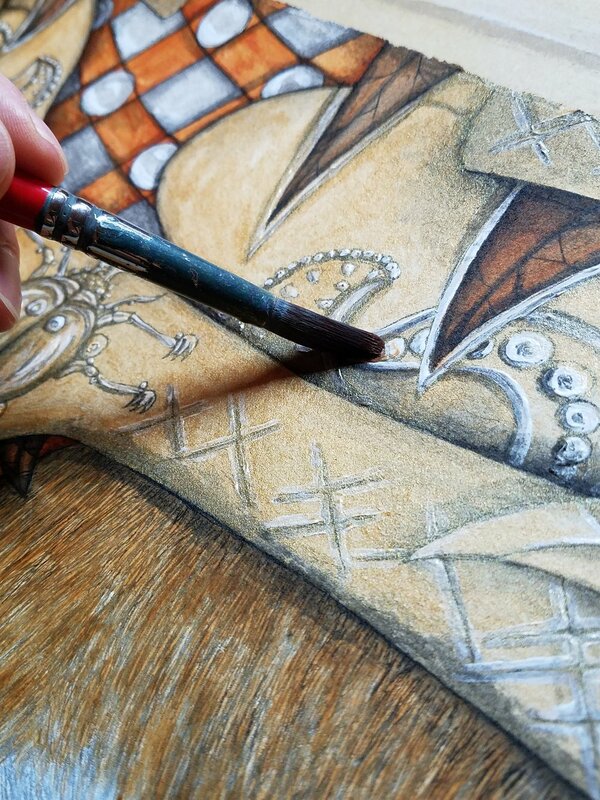 My two favorite surfaces to paint on are cold-pressed cotton paper and smooth bristol. Sometimes I paint on canvas and occasionally on other random things like tile, metal and wood. Some of the paintings I then scanned and further embellished with a digital paintbrush. Illustrations for video games and the art that goes into them have always been my biggest influence. The drawings that Samwise Didier and Mark Gibbons did for Warcraft 2 were among my first obsessions. Many of the artworks done for the Games Workshop tabletop games had a big effect on me and are now also wandering about somewhere in my head. Although art is not my main job I do commission work on a regular basis. Contact me through Twitter, Facebook, Instagram or email if you wish to discuss a potential project. Commonly used ingredients include acrylic paint, watercolors, markers, graphite and India ink. 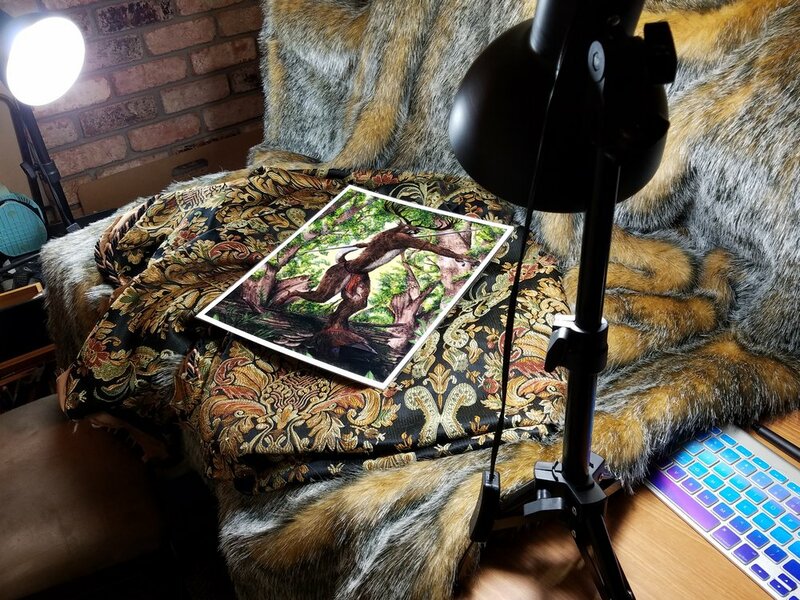 Most images are painted on a cotton fiber cold press paper. I also paint on wood, metal, glass and ceramics sometimes. Digital paintings are created using Photoshop CC. Prints are forged with a Canon PIXMA Pro9000 and several types of premium inkjet paper. The glorious photo studio in action.